The Strathmore Speaker Series is proud to announce its Spring 2017 lineup. The season will kickoff on Thursday, February 18th at 7 pm with a presentation by fitness guru and life coach, Nick Murphy, who first gained fame for helping a local man lose 425 pounds. Our second event of the season will feature a presentation by legendary Syracuse University Men’s Lacrosse Coach, Roy Simmons Jr., on Sunday, March 12th at 2 pm. Strathmore resident and founder of the Syracuse University Law School’s Cold Case Initiative, Janis McDonald, will headline our third event about seeking justice for civil rights-era crimes on Thursday, April 13th at 7 pm. And new for the spring 2017 season – a fourth event! – will feature the Syracuse Parks Department on Celebrating 100 Years of Syracuse Parks on Thursday, May 18th at 7 pm. All events are held in the Onondaga Park Firebarn and are free and open to the public. We hope to see you there! The Strathmore Speaker Series is Proud to Announce its Spring 2016 Season! The Strathmore Speaker Series is proud to announce its Spring 2016 lineup. The season will kickoff on Sunday, March 20th at 2 pm with a presentation by architect, artist, and founder of [re]think syracuse, Jason Evans. Our second event of the season will feature a presentation by Syracuse-native, former professional football player, and diversity and inclusion expert, Billy McBride on Sunday, April 17th at 2 pm. Hotel Syracuse developer Ed Riley and muralist Katerina Spilio will conclude our season with a presentation on the exciting restoration of one of Syracuse’s most historic landmarks on Thursday, May 12th at 7 pm. 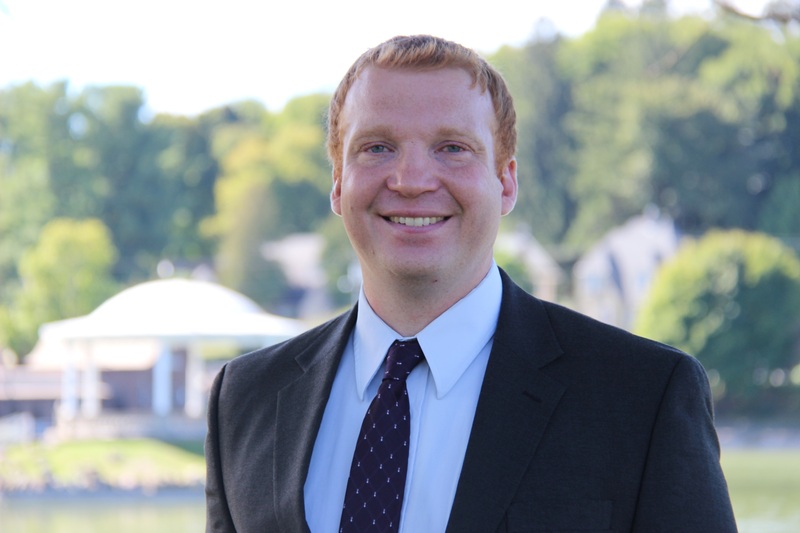 Social policy expert and recent candidate for Onondaga County Legislature’s 15th District, Timothy Rudd will speak at the Firebarn on Thursday, November 19th at 7 pm. Timothy will discuss exciting new strategies to finance investments in people and their applicability to communities like Syracuse. Timothy is a Research Associate for MDRC – a nonprofit, nonpartisan, social policy research organization headquartered in New York City. For the last four years Timothy has been heavily involved in the first Social Impact Bond (SIB) in the United States. The project used a $9.6 million loan from Goldman Sachs to pay for cognitive behavioral therapy for 16-18 year olds in the New York City jail system on Rikers Island. If the program can reduce the amount of time participants spend in jail by more than 10 percent, the City of New York will repay the loan using money saved by keeping program participants from returning to the jail system. If the program fails to reduce recidivism by the required amount then the City of New York pays nothing and investors lose their investment. The project examines a number of new and innovative ideas about how governments can most effectively invest in their people. Timothy’s presentation will introduce the SIB concept and describe how it could change the way government pays for investments in people. Additionally, he will comment in a private capacity about how similar ideas might have value in places like Syracuse. He will examine questions such as: Is it appropriate to use debt to increase the level of investment in people? What are the costs related to the way government currently makes investments in people? Does a lack of investment in people perpetuate poverty? And, can financial innovations unleash new capital that can be used to disrupt the cycle of poverty? Timothy was born and raised in Syracuse. He graduated from Henninger High School, Syracuse University, and has an MPA from the Maxwell School. He lived and worked in New York City for six years including three years working for the New York City Mayor’s Office of Management and Budget. He currently lives in the Elmwood neighborhood of Syracuse where he works for MDRC from his home.